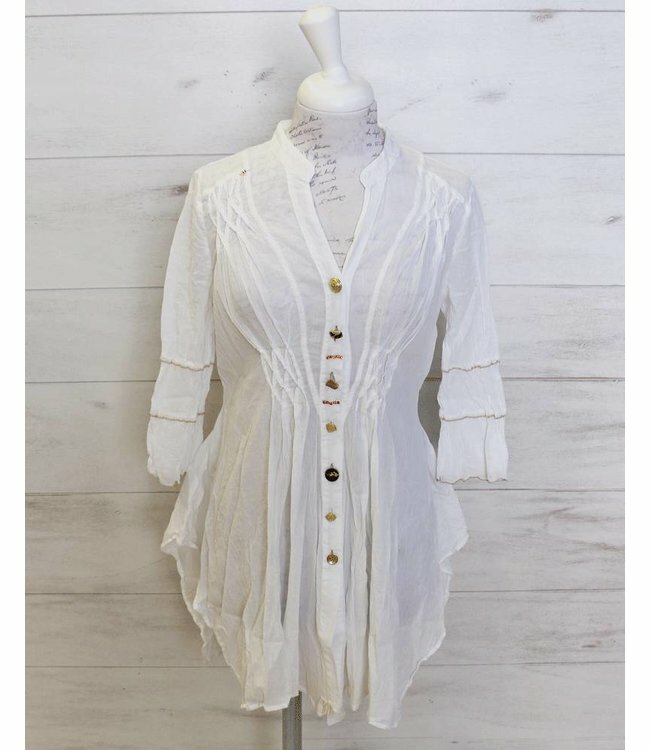 Long blouse white, fitted at the waist and with a crushed finish. The front of the blouse is slightly gathered and decorated with a variety of handcrafted buttons. Long blouse white, fitted at the waist and with a crushed finish. The front of the blouse is slightly gathered and decorated with a variety of handcrafted buttons. The matching trousers ECP176041502 col. 01001 Bianco as well as shoes ELP170122600 col. 18032 Abisso are also available from our Shop.